Queen Elizabeth evokes the heyday of Hollywood glamour and elegance. Her wood panelling, gleaming chandeliers, marble flooring and beautiful decorative touches exude luxury. 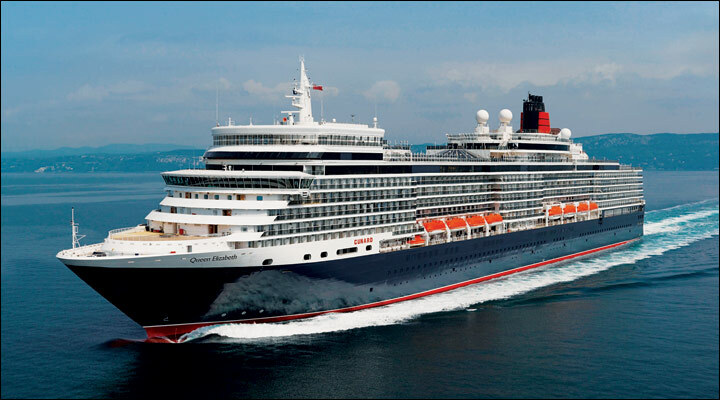 The harmony of classic and contemporary strikes an elegant chord throughout the magnificent Queen Elizabeth. Images and features from her predecessors, Queen Elizabeth and QE2, sit comfortably alongside her modern charms. Entertainment ranges from lavish high-tech musical productions to the timeless refinement of garden parties and grand balls. Opportunities for relaxation stretch from the simple pleasures of a 6,000-book library to indulgent spa treatments.